1, Standard body+ your face- We hand sculpt the head to resemble the photo that you provide to us. 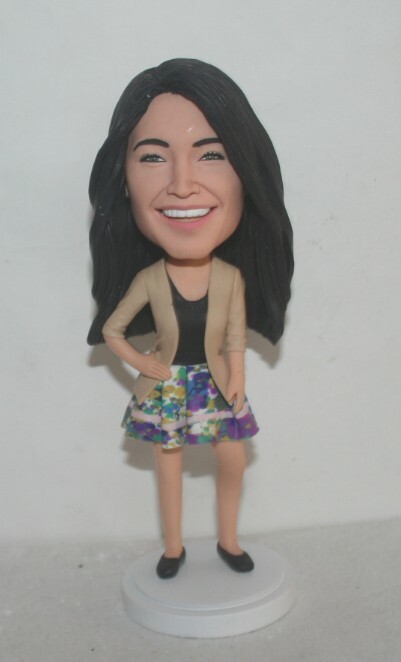 2, We made this bobblehead for an Indian lady, for your reference, clothes could be changed as your request. 3, We only use fine polymer clay to handmade it's head and body, with the color of the clay itself, we never use polymer resin and paints on the bobbleheads, which ensure natural bright color, soft and higher quality.